On December 3rd, 2018, Fox-1Cliff was launched on a Falcon 9 vehicle from Vandenberg Air Force Base in California. Part of Spaceflight’s SSO-A: SmallSat Express launch, Fox-1Cliff was named after long time AMSAT supporter Cliff Buttschardt, K7RR (SK). In the 48 hours after launch, more than 110 amateur radio operators around the world have successfully received and submitted telemetry from the satellite. 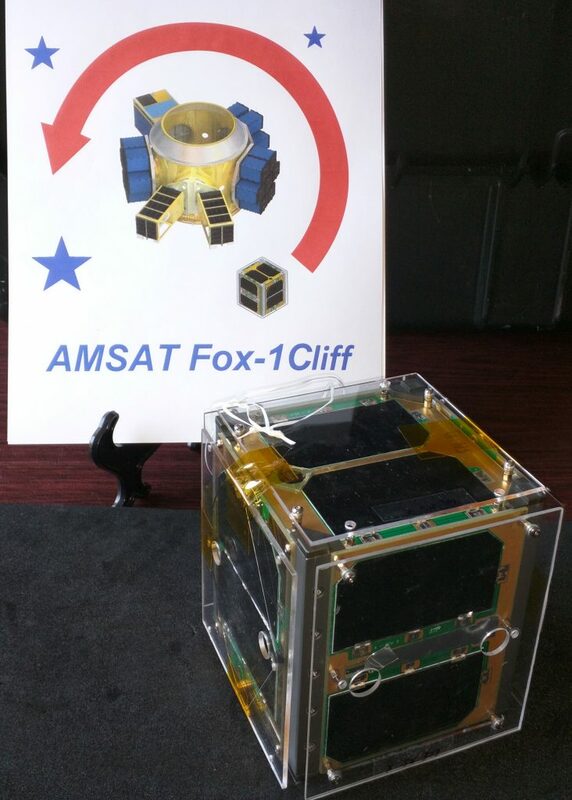 Following in our long tradition of naming amateur satellites, AMSAT hereby designates Fox-1Cliff as AMSAT-OSCAR 95 (AO-95). Thank you to those who have supported this mission with their time, talent, and financial support for the benefit of amateur radio operators worldwide.